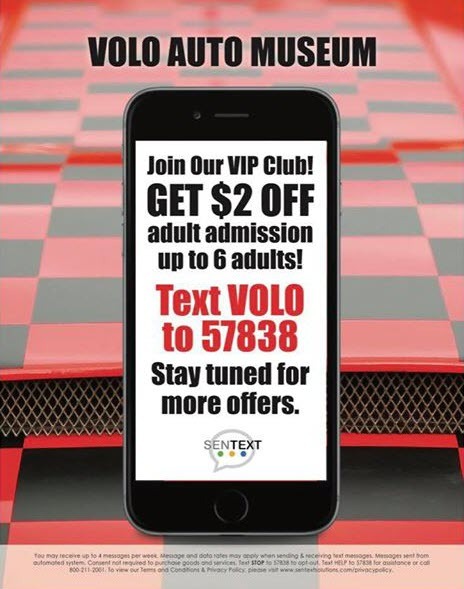 Join our VIP text club and immediately get $2 off adult admission for up to six adults. Other offers will follow. Don't worry, we won't bombard your phone!